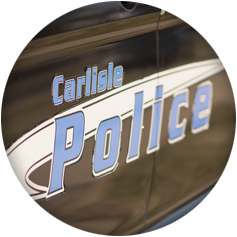 The Municipality of Carlisle is seeking applications for a Police Officer Eligibility List. Click below for position description, as well as information on how to apply. GENERAL NATURE OF WORK: This is specialized work in the protection of life and property through the enforcement of laws and ordinances for the City of Carlisle and the State of Ohio in the City of Carlisle’s Police Department. An employee in this class is responsible for maintaining law and order and performing related assignments such as traffic control, criminal investigations, and crime prevention. Duties are performed under the limited direction of the Lieutenant. EQUIPMENT & JOB LOCATION: This position requires general knowledge of police and office equipment, including: personal and laptop computers, national and regional crime information computers, video and photography equipment, firearms, communication equipment, media equipment, police vehicles, and general office equipment. The primary work site is the City of Carlisle. ESSENTIAL FUNCTIONS – EXAMPLES OF DUTIES: Any one position may not include all of the duties listed nor do the listed examples include all duties that may be found in all positions in this class. Patrols the city or assigned area by operating a vehicle, prevents or discovers commission of crimes, searches for suspicious activity or situations, apprehends criminals, and enforces motor vehicle operation and parking regulations. Uses radar/lidar equipment to conduct traffic enforcement. Conducts traffic stops of vehicles when violations are observed, verifies driver's license and vehicle registration data, advises driver of safe driving practices, and issues citations or makes arrests as warranted. Assists citizens with problems, including but not limited to, lost children, injured or sick persons, animal bites, civil and domestic disputes, locked doors, traffic complaints, and abandoned vehicles. Performs daily vehicle and equipment inspections. Refers individuals to appropriate social service agencies when necessary. Investigates vehicle crashes, extracts victims, provides emergency aid, gathers evidence, records observations and statements of witnesses and victims, requests assistance from other officers or agencies as needed, directs the removal of the vehicles involved, and ensures the area is clear. Prepares and reviews all necessary reports and records; performs other administrative duties as required. Prepares criminal, traffic, and civil cases and testifies in court when necessary. Interviews complainants, witnesses, suspects, and prisoners to obtain information about crimes. Secures found, confiscated, and evidentiary property, safeguarding the property to either return to the owner or present as evidence in a court of law. Pursues, apprehends, searches, and arrests subjects using appropriate force, advises suspects of their rights, transports subjects to the appropriate areas, books criminals into jail. Responds to mutual-aid requests from surrounding jurisdictions; assists medic units as necessary. Performs detective work on open cases. Enforces all federal, state, and local laws, statutes, and ordinances. Provides security and patrols during special events, including parades and high school sporting events. Performs civic functions by providing public education and crime prevention information at community organization events; provides other public safety information or activities as needed in local neighborhoods. Responds to complaints from citizens. Ability to establish and maintain effective working relationships with city officials, fellow employees, other city employees, the media, and the general public. Ability to perform both routine and specialized patrol tasks with skill and competence. Ability to coordinate activities with various outside agencies, including other local, state, and federal law enforcement agencies. Thorough knowledge of modern law enforcement practices and methods; thorough knowledge of police administration methods and practices and of local police department rules and regulations. Thorough knowledge of state and local laws and ordinances, particularly those pertaining to arrest and evidence. Thorough knowledge of the occupational hazards and corresponding safety precautions necessary for the safe performance of assigned duties. Considerable knowledge of the techniques necessary to conduct criminal investigations, including evidence collection, obtaining witnesses, making arrests, and performing follow-up investigations. Ability to understand and execute complex oral and written directions and to prepare clear and comprehensive reports. Ability to maintain records, prepare reports, and perform other necessary clerical and/or administrative duties. Ability to interpret actions or spoken words to produce a response. Ability to understand reactions or people. Ability to conduct research, particularly pertaining to state, and local laws, statutes, and ordinances. Ability to reports events, incidents, and situations correctly and concisely and in chronological order. Ability to adjust verbal tone to various situations or people. Ability to improvise solutions to situations that do not have standard operating procedures. Ability to accurately remember important details or concepts. Ability to recognize or identify the existence of a problem; recognize the elements of a problem or situation or criminal activity. Ability to visualize objects and persons; utilize sensory perceptions such as hearing, smelling, and feeling. Ability to distinguish colors of fleeing suspects’ clothing, car, etc. Skill in effective time management and the ability to carry out multiple tasks simultaneously. Ability to perform a task in the presence of distracting, stimulating, or monotonous conditions. Ability to adhere to protocol under stressful conditions. Ability to physically restrain people. Thorough knowledge of city geography and population patterns. Skill in the use and care of firearms. Skill in dealing firmly, tactfully, and courteously with the general public. Ability to react quickly and calmly in emergency situations. Ability to physically protect themselves and others. Ability to work under the limited direction of the Lieutenant. Possess OPOTA Basic Police Certificate or currently be in an academy. Possession of, or ability to obtain promptly, a valid Ohio Class “D” Driver's License or Commercial Driver’s License as required. Satisfactory completion of all state required training. Must be in good physical condition, i.e. ability to pass all required physical exams and drug testing as required by the State of Ohio and/or the City of Carlisle. Ability to work other than normal working hours, and to work various shifts as necessary. This position description in no manner states or implies that these are the only duties and responsibilities to be performed by the position incumbent. 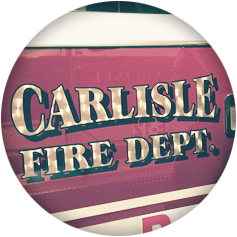 ​Applications are available for download in the Documents section of this page, or at the Municipality of Carlisle Town Hall, 760 Central Ave, Carlisle OH 45005 between 8:00am and 4:30pm, Monday through Friday. Return completed application packet, copy of high school diploma/GED and OPOTA Basic Police Certificate to the same address by 4:00 pm on Monday 11/27/17. ​Selected applicants will undergo physical fitness examination, extensive background investigation, polygraph, psychological exam, and post offer, pre-employment physical and drug test. A required written exam will be given on Saturday 12/2/17 at 9:00am at Carlisle Town Hall 760 Central Ave Carlisle Ohio. Check-in at 8:30am. $20 cash test fee and Photo ID is required. Required physical agility test will follow written exam.